LA Muscle Estro Block Review | Buy or a Scam? LA Muscle says that testosterone boosters can be very effective to help gain muscle and boost your efforts in the gym, but if taken for too long they can have a harmful effect and cause estrogen to build up. This thwarts all of your hard work and can cause you to gain that annoying belly fat that can ruin your look. They say Estro Block is designed to stop the build-up of estrogen by using just three pharmaceutical grade ingredients. They say they work in synergy with anabolics, and block the harmful toxic effect from estrogen in water and plastics in the modern world. LA Muscle promises a natural product which has just the right amount of each ingredient to stop them cancelling one another out. Using their own research and development lab, they say this supplement is the strongest estrogen blocker on the market. What will LA Muscle Estro Block do for me? 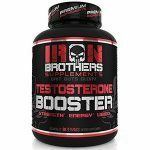 If you have been taking testosterone boosters for a while or feel like you are still carrying too much fat that will not shift, you may be tempted to look at an estrogen blocker to increase muscle mass and strength. We take a look at Estro Block to get the low down. LA Muscle Estro Block is manufactured by British sports nutrition brand LA Muscle as part of a range of other sports supplements. 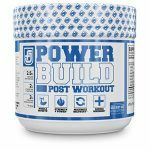 It has been designed for those who want to improve their muscle gains and achieve that shredded look. Often, men are impeded by the female hormone estrogen causing them to hang onto stubborn fat, which defeats all of those hours spent in the gym and hitting your protein quota. 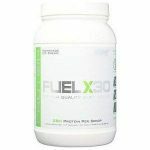 Containing three actives, which they say decrease estrogen levels, it comes with a guarantee of no side effects, due to the all natural ingredients. What Are The Side Effects Of LA Muscle Estro Block? Despite LA Muscle’s assurances that it will not cause side effects due to the pure ingredients, natural does not always mean safe. As with anything, it depends what else you are taking and your health condition. You may experience some stomach discomfort from this product, and a range of other health issues. 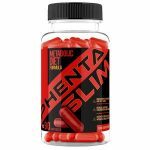 As this product is promoted as being a good partner for other supplements, including anabolics, we would suggest you get medical advice to make sure you are not overdosing or combining ingredients that are not compatible. How Much Does LA Muscle Estro Block Cost? LA Muscle Estro Block retails for £39.99 from the official website and they promote a multi-product deal, where if you buy two products, you will get them for £50. Estro Block comes in a handy capsule and contains 30 capsules per container. This should last you around one month if you follow the directions. Our research into the ingredients shows less than reliable results for the claim that they will block estrogen and boost testosterone. Whilst some of the actives may inhibit estrogen, if taken in the wrong dosage, or for too long, or with other ingredients, they can actually have the opposite effect! Anything that alters hormones is a very careful balancing act and should be used under appropriate medical guidance. Some of the ingredients appear to be a little underdosed in the formulation and there is a possibility that the Bioperine could stop any of the actives being absorbed at all, rendering it ineffective. Overall, we do not recommend LA Muscle Estro Block to our readers. Estro Block is a supplement in capsule form, that aims to inhibit the female hormone estrogen that can cause weight gain, stubborn fat pockets, and stop muscle gain. 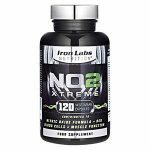 Made by the British sports supplement brand, LA Muscle, who have been around since 1997, they have amassed quite the empire over five continents. They invest heavily in brand and marketing and it shows. They promise to have the strongest estrogen blocker on the market, made with pharma grade ingredients, but this product appears a little underdosed in some areas for it to be reliably effective. There is also a lot of contradictory evidence to prove whether some of these ingredients can inhibit estrogen at all, and some even say that if too much is taken or for too long, it can have the opposite effect and actually increase estrogen. What Does LA Muscle Estro Block Claim To Do? LA Muscle says that most men do not even know they have high levels of estrogen and that it is being caused by pollution in the oceans with estrogen being present in plastics and our water supply. That is why all of that effort in the gym is not helping shed the fat to reveal the muscle underneath. They say Estro Block should be taken in conjunction with your usual testosterone booster or anabolics, but that if you have been taken testosterone in isolation either for too long or in too high a dose, you likely have been doing yourself some damage. This is because too much testosterone can start to cause estrogen to build up. Promising to contain 100% pharma grade ingredients that are rare and powerful, it boasts that it is the strongest formulation on the market and will get fast results. It promises that because it contains the correct ratio of ingredients that they will not cancel each other out. Does LA Muscle Estro Block Work? The evidence looks flimsy for some of the ingredients. Chrysin has shown no effects when supplemented at doses as high as 400-4000mg, so the minuscule dose of 200mg is unlikely to show any benefits. Other ingredients can easily promote the increase of estrogen if taken in conjunction with other products that tip the balance too far the other way, so you may find it has the opposite result. We are also not convinced about the claim that because it is natural it will not produce side effects, as some of the ingredients have caused adverse effects as wide-ranging as gastrointestinal distress to depression. We would want to see some actual clinical trials using this product before we were convinced. What Are The Ingredients of LA Muscle Estro Block? Chrysin (200mg): A bioflavonoid found in honey and is thought to be a testosterone booster but only when injected into the testicles. 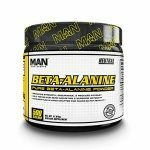 It is not absorbed well orally and needs to be given in very high doses in a supplement in order to have any effect, contrary to popular belief. Doses of 400mg – 4000mg in supplementation have been ineffective in clinical trials. 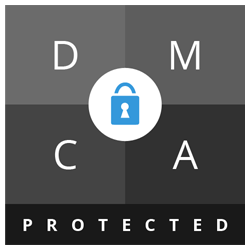 Diindolylmethane (50 mg): Most notably found in cruciferous vegetables such as broccoli and cauliflower. It is thought to produce enzymes which can inhibit estrogen production quite effectively but if taken in too high a quantity, may actually have the opposite effect. Around 100mg daily is thought to help reduce estrogen. It is thought to be safe when taken in small doses short term, but there is not enough evidence to support the safety of long-term use. Bioperine (5 mg): A patented, refined extract of black pepper, which is thought to help transport other compounds around the body and aid absorption. It is there as mainly a carrier ingredient. Whilst it can stop the body from excreting the active ingredients, it can also have the opposite effect and render some supplements completely useless. It is all about the context and what ingredient it is required to transport. Some side effects may include gas, itching, loss of appetite, and rash. Does LA Muscle Estro Block Have Any Side Effects? LA Muscle supplements are “Nutritional Supplements”. They are not medicines or drugs. They do not prevent, diagnose, restore, correct or modify any physiological condition or function in human beings. They will not treat diseases; they are not medicines. If you have a medical condition, please refer to your physician. If you get any side effects at all, stop use and refer to your doctor immediately. Never take more than the recommended dosage. Male hormone boosters are for people over 18 and mature for their age. Are There Any Customer Reviews For LA Muscle Estro Block? As you may expect, visit LA Muscle’s website and you will see nothing but positive reviews, mainly saying “great”, “excellent” and “good product”, so there is not much detail to work with but it all sounds good. We found the opposite on Amazon where reviewers said this product “did nothing” and “was a waste of money”. Another said that they “may as well have ground up chalk powder” and felt it did not work for them. Does LA Muscle Estro Block Offer a Money-Back Guarantee? You can get a no questions asked return and refund on LA Muscle products, but only if you buy it from them directly and only within 30 days of purchase. It does not matter if you have used a bit or used it all, they say. Just beware if you have signed up to one of their multi-bundle deals that you only have 30 days to return all of them. Where Can I Buy LA Muscle Estro Block? 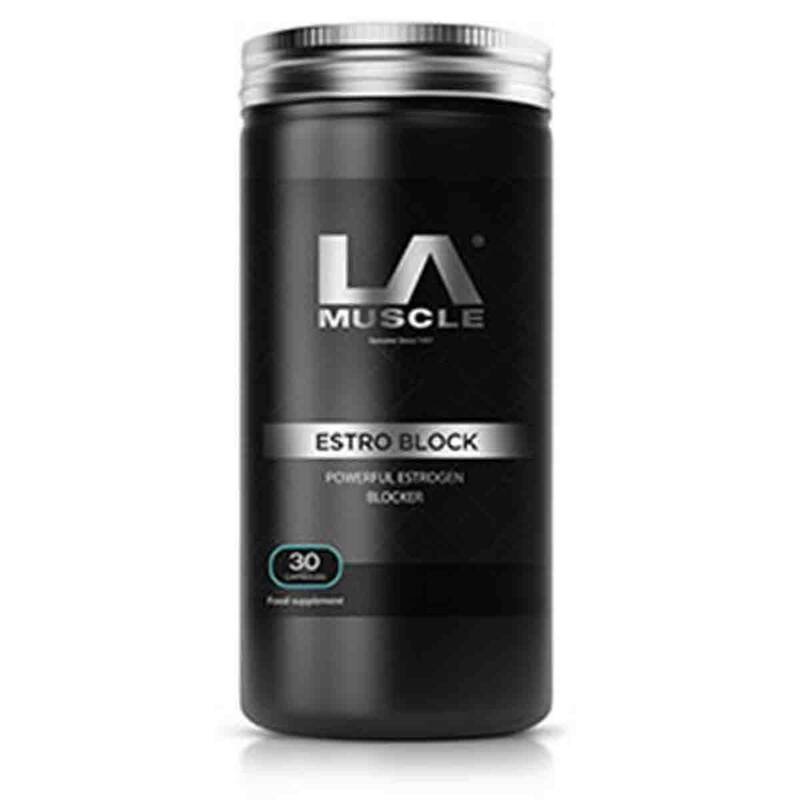 LA Muscle Estro Block is available via the merchant’s website directly and via their many affiliates, who they pay commission to sell products on their behalf. This means that reviews from influencers and personal trainers may not be entirely objective. The Muscle Watchdog does not recommend LA Muscle Estro Block.